If you have lost your user manual for Eleaf iStick Tria Kit, don't worry! Here is the forever one! Thank you for choosing Eleaf iStick Tria With Ello S Starter Kit! Please read this manual carefully before use so as to use correctly. If you require additional information or have questions about the product or its use, please consult your local agents, or visit our website at www.eleafworld.com. Power on/off: push forward to open the battery cover, put three high-rate 18650 batteries correctly into the battery housings, and finally close the battery cover. The device can be powered on or off by pressing the fire button 5 times. The battery levels of battery 1, battery 2 and battery 3 are respectively displayed on the screen. Adjustment button lock/unlock: keep pressing “+” and “-” buttons simultaneously for two seconds when the device is powered on, then the adjustment buttons will be locked and the screen will display “Key Lock”. In the same way, the adjustment button can be unlocked and the screen will display “Key Unlock”. Through this operation, you can protect the buttons from unintentional presses and prolong their lifespan. Puff/second reset function: in power-on state, choose VW mode; keep holding “+” and fire buttons till the puff or second interface flashes, and then keep holding “+” and “-” buttons till the puffs or seconds are reset to “0”. Preheat function: in power-off state, keep holding “+” and fire buttons till the M1 mode appears;press the fire button 3 times to “Power”, and press “+” or “-” button to adjust the wattage of preheat;press the fire button again to “Time”, and press “+” or “-” button to adjust the second of preheat or to turn off the preheat function. 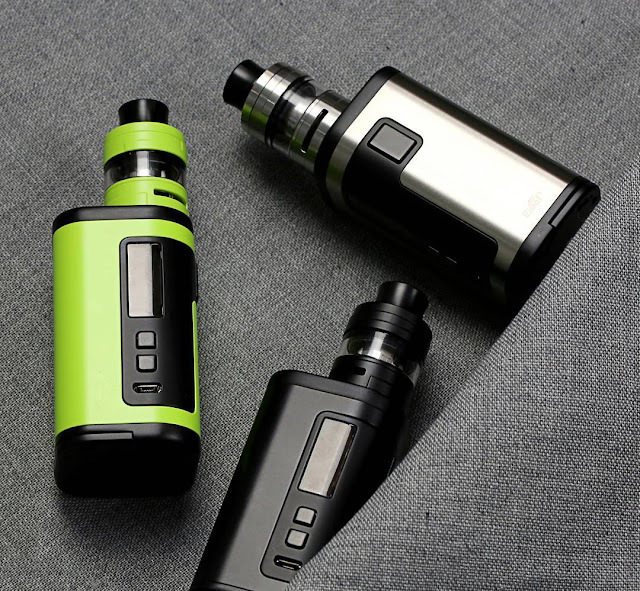 Switch vaping modes: when the device is powered on, press the fire button 3 times in quick succession, the device will display current vaping mode. Press the “+” or “-” button to switch among VW, USB Charge (this mode appears only when “USB” is on), TC-Ni, TC-Ti, TC-SS, TCR-M1,、TCR-M2, TCR-M3 modes and then press the fire button once or stay in the interface for about 10 seconds to confirm the vaping mode you chose. Adjust wattage: in this mode, the output wattage can be adjusted from 1W to 300W by pressing “+”or “-” button, “+” button to increase and “-” button to decrease. Long press “+” or “-” button can rapidly increase or decrease the wattage level. button without looseness to rapidly increase or decrease the wattage level. or 10℉. Keep pressing “+” or “-” button without looseness can rapidly increase or decrease temperature setting. Check Battery Alert: if the batterries are installed incorrectly, the screen will display “Check Battery”. 2. This product is not recommended for use by young people, non-smokers, pregnant or breast-feed-ing women, or persons who are allergic/sensitive to nicotine. with lower nicotine content or no nicotine.